"Compamed" Germany 2018 , Thank you Everyone! ARIGATOU GOZAIMASHITA (Japanese) meaning 'Thank you very much! Compamed 2018 is a yet another success story and all thanks to you for giving us this opportunity to showcase our capabilities, processes and products. We are very excited with your visit and hope we were able to answer all your queries and if in case we missed anything please do write to us. We were overwhelmed by the Visitors and the entire facility at Messe Dusseldorf who made this Compamed 2018 Memorable, See you all again next year. We are exact one month away to see you all! We are one Month away from Leading International market place gathering of suppliers and manufacturers of medical technologies .Join us in experiencing Medtech Innovation in Compamed 2018 in Dusseldorf, Germany 2018. Compamed 2018 - Two months to Go ! 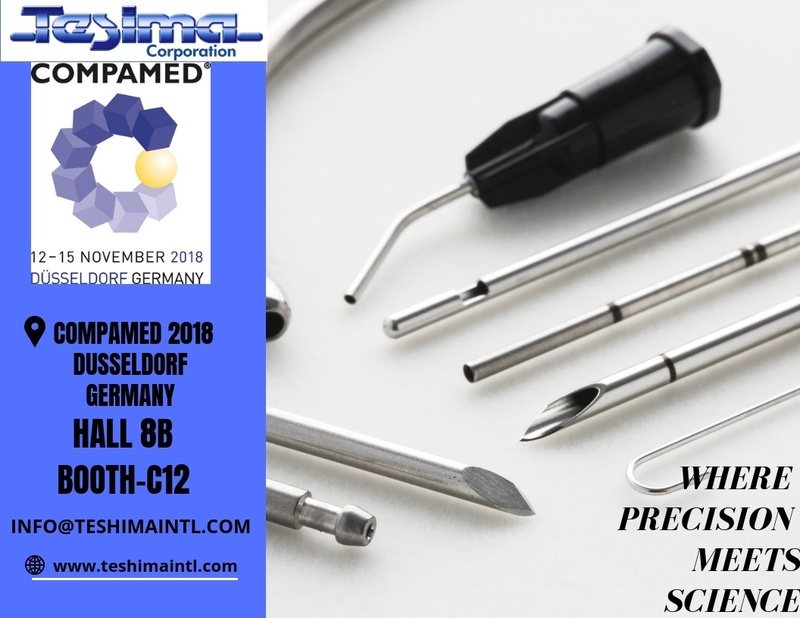 We are two Months away from Leading International market place gathering of suppliers and manufacturers of medical technologies .Join us in experiencing Medtech Innovation in Compamed 2018 in Dusseldorf, Germany 2018. The Compamed is the leading trade fair for the medical supply industry and for product development. It takes place once a year in Dusseldorf and will be open to trade visitors only. It is trade fair for innovations and trends, future workshop and a central meeting place for the entire industry, both nationally and internationally. The Compamed takes place since 1992 in conjunction with the world's largest medical trade fair . Due to the synergy effects with the world's largest medical trade fair Medica the fair Compamed is the ideal place for a perfect, simultaneous interaction between the leading manufacturers, suppliers and system partners. No other medical suppliers fair generates a larger potential customer base. 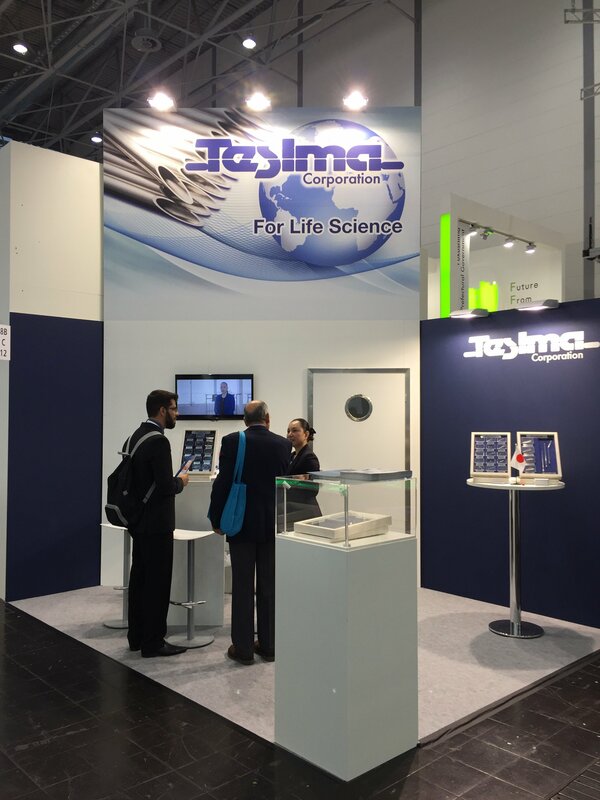 The main topics of the Compamed are high-tech solutions, raw materials and intermediate products, parts, components and sub-products for medical devices, equipment and technologies, packaging and service, microsystem technology and nanotechnology, and contract manufacturing. We are looking forward to meeting you all there. Teshima's priority is the people, meaning staff and customers. We encourage teamwork & participation in ongoing projects as a good working environment propels employees to excel at their craft.